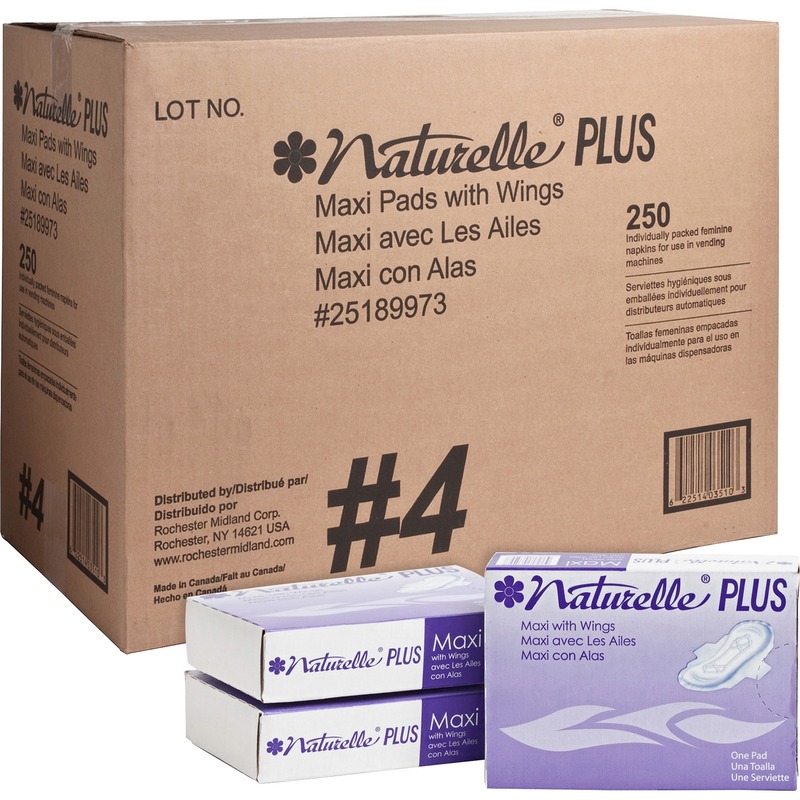 Maxi sanitary napkins come in No. 4 box for use in any vending machines that provide convenience away from home. 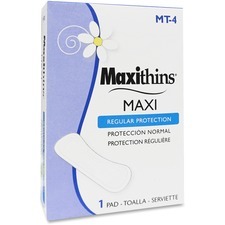 The Maxithins name is one women know and trust. The eight-channel design provides better absorbency. Fluid is channeled to help keep the pad surface dry and away from the sides to avoid leakage. 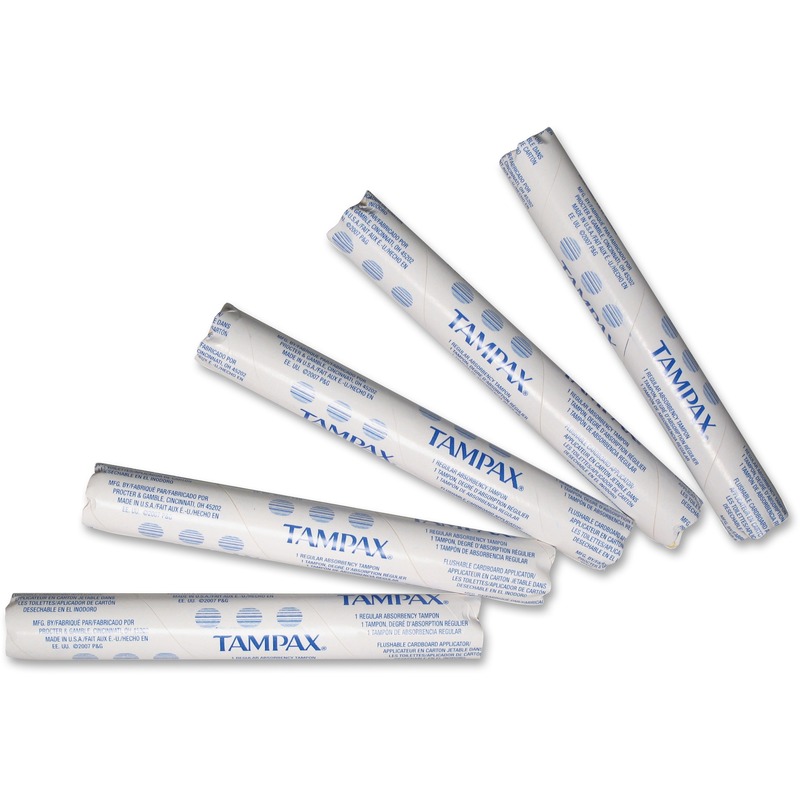 Pads are a standard size at 8"" long unfolded and individually wrapped so they ready for vending.